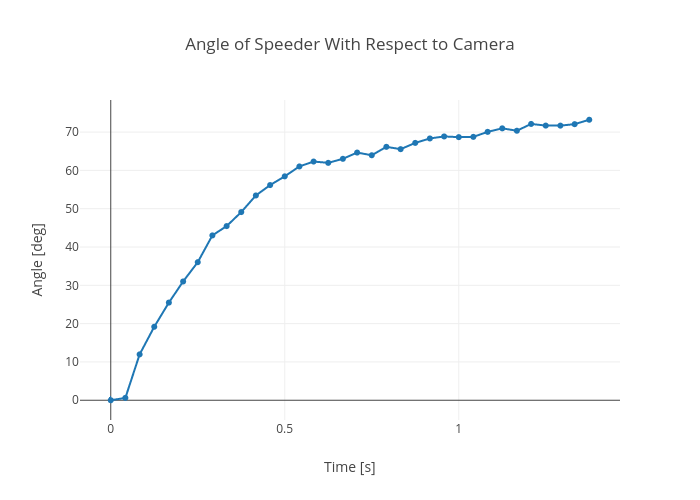 Rhettallain's interactive graph and data of "Angle of Speeder With Respect to Camera" is a line chart, showing Angle [deg]; with Time [s] in the x-axis and Angle [deg] in the y-axis.. The x-axis shows values from -0.0895503101309442 to 1.4645503101309443. The y-axis shows values from -5.892954951397366 to 79.10580048139737.